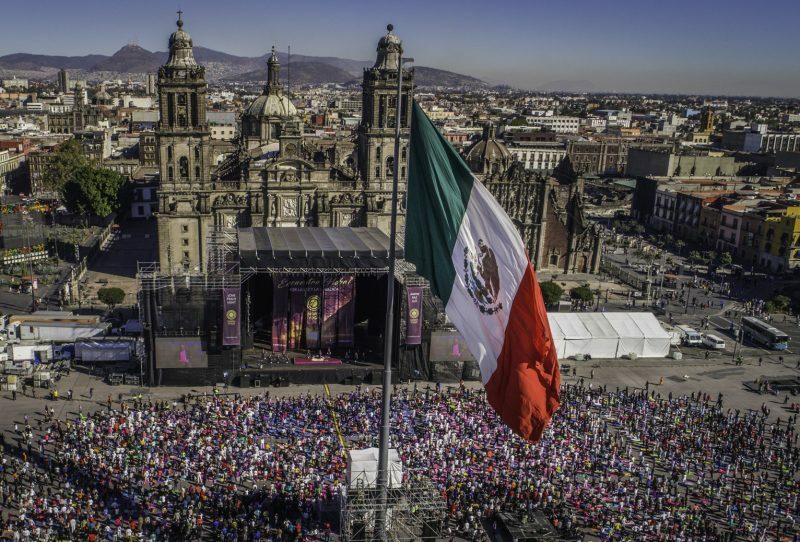 The sixth Global Gathering for Peace and Healing, or Naam Yoga Superclass, was held on November 26, 2017 and united over 318,000 people in the historic and massive Zócalo square of Mexico City, around the globe online and via live television broadcast to send love, peace, light and healing to the entire world. The gathering received international media coverage and was the largest Global Gathering for Peace and Healing of its kind to date. The seed for the first Superclass was planted in 2010 in Mexico City and the number of attendees has continued to flourish each year: 12,000 people participated in 2011 (Zocalo Square); 15,000 people in 2012 (Revolution Monument); 21,000 people in 2014 (Angel of Independence Monument); and 100,000 people, in-person and online from over 97 countries, participated in 2015 Superclass (Angel of Independence Monument). All of the Superclasses currently take place in Mexico City. The Government of Mèxico City Distrito Federal was so impressed by the “positive result of the people who attended the Naam Yoga Superclass” that it was instituted that weekly yoga classes be offered, free of charge, every Sunday. The Naam Yoga Superclasses have exposed millions of people around the world to the positive impact of Naam Yoga.